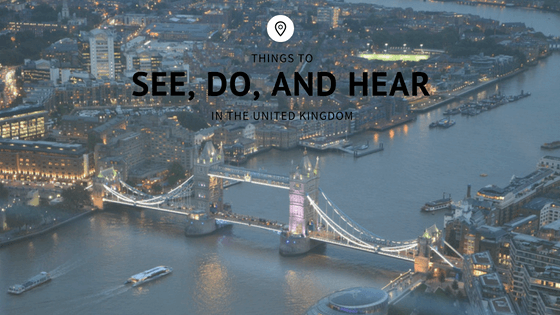 The United Kingdom is a great place to travel no matter the time of year. The UK is made up of Northern Ireland and three countries making up Great Britain: England, Scotland, and Wales. There is many shared cultures across these states but each is unique in its own right. Northern Ireland and the Republic of Ireland share the same island but are two separate countries. Northern Ireland belongs to the UK and is known for its mythical, ancient legends. Its up-and-coming city of Belfast is bustling with things to do such as the Ulster Museum, Crown Liquor Saloon, and the infamous Botanical Gardens. Head north to see the spectacular Giant’s Causeway, a naturally formed rock formation said to be created by none other than giants of mythical tales. England may not be very large in size but it sure knows how to pack its lands full of things to do. If you’re looking for more of a historical trip, take tours of the stunning Stonehenge, the Roman Baths, or the Natural History Museum located in Kensington and Hyde Park. If you’re a fan of castles, both new and old, check out the Westminster Abbey and the Windsor Castle. For green pastures you can see for miles, the Lake District is where you’ll want to head. Don’t forget to stop in cities such as Oxford and York for some of the best British cuisine you can find. If you’re a fan of the outdoors, Scotland may be the destination for you. Hike the scenic Glen Nevis (the location of many movies such as Harry Potter and Braveheart) or take in the sites of the Isle of Skye, home of the original vikings. Head to Edinburgh for deep history about the Scots and their beloved Queen Mary. It’s said that “good things come in small packages;” for the state of Wales, that couldn’t be anymore true. Visit the castles of St. David’s, Conwy, Beaumaris, or Caernarfon to take a step back in time. The Snowdonia National Park is a must see. Take some time to meet the locals and you might get to hear the ancient language of Cymraeg.